Location: Hugh Masekela Gallery, level 2. 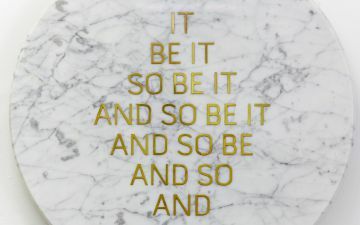 Now and Then is an ongoing exhibition series at Zeitz MOCAA. 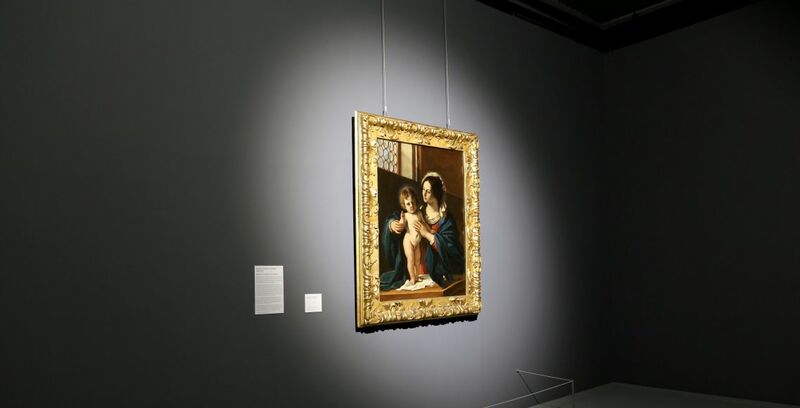 This iteration examines the potential for a multiplicity of viewpoints and exchanges by presenting the work of Italian painter Guercino (1591 – 1666) in dialogue with Zimbabwean contemporary artist Kudzanai Chiurai. 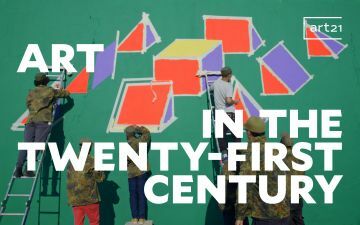 Anchored by a common subject matter, the exhibition explores how the past resonates with the present through different mediums, forms and processes. 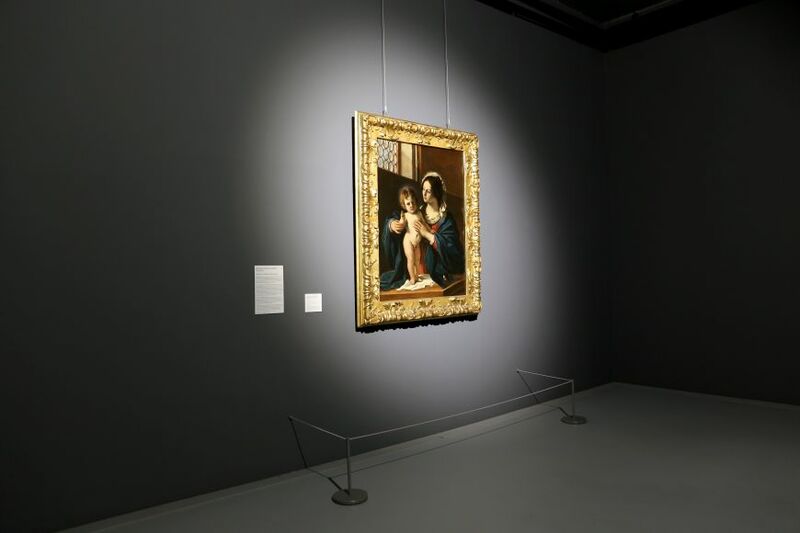 Guercino’s Madonna con Bambino benedicente (1629) depicts a benediction: Madonna and Child. It is reminiscent of religious iconography prevalent during the Renaissance and the style of the Baroque movement to which he belonged. 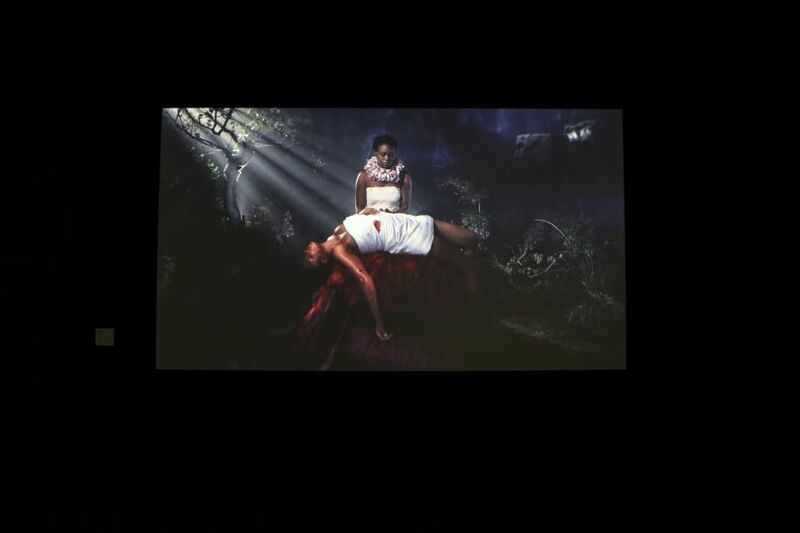 Chiurai’s single-channel film Moyo (2013) depicts a maternal figure nursing a wounded woman. Wiping the blood from her wounds, she sings Wakrazulwa ngenxa yam (you were ripped and torn for my sake). The song is typically sung when mourning the loss of life. 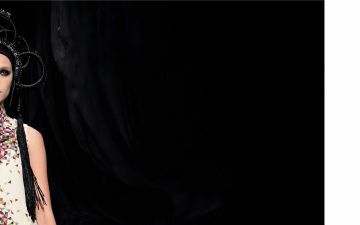 The film references Michelangelo’s sculpture Pieta (1499), which portrays Christ’s lifeless body lying across the Virgin Mary’s lap after the crucifixion. 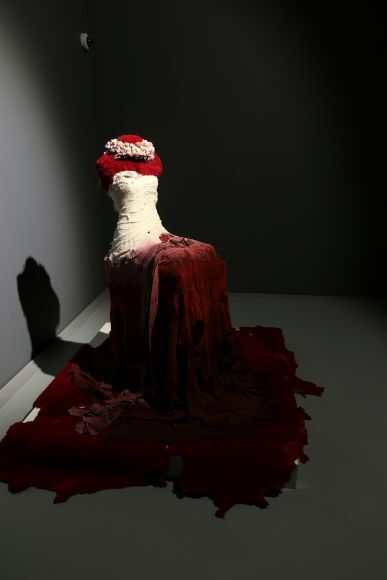 The blood-stained bandage dress used in the film (a collaboration between Chiurai and South African fashion designer Marianne Fassler), completes the triad in this exhibition. It is a lens through which to re-look at historical nexus of pain. 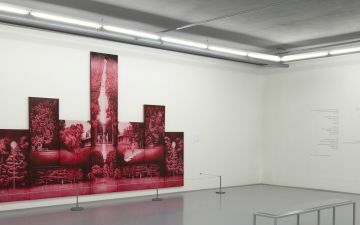 Maternity, sacrifice; public violence; and loss of life in these three works become points for reflection. 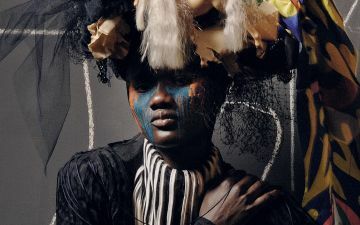 How might one re-imagine such subjects beyond the fixed narratives of dominant histories? This exhibition offers an opportunity to analyse alternate modes of artistic practice and curatorial discourse. 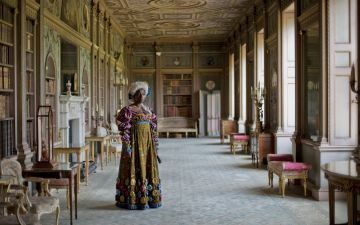 In addition, the exhibition urges viewers to consider the unseen, overlooked and silenced histories that shadow each of their respective contexts. 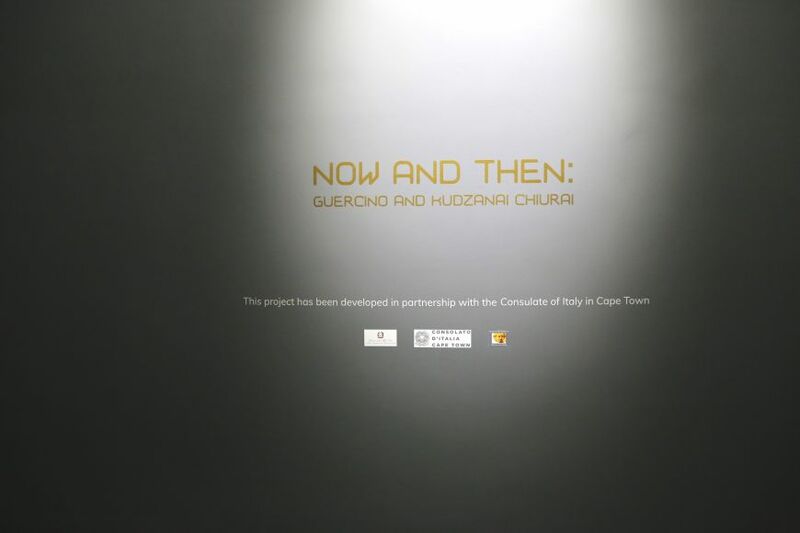 This exhibition is supported by the Consolata D’Italia Cape Town; Ministero degli Affari Esteri e della Cooperazione Internazionale and; Regione Emilia-Romagna Cultura D’ Europa.